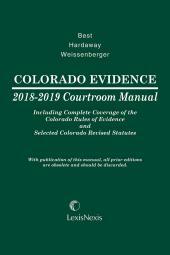 Cited more than any other source of evidence law by Ohio courts, the Ohio Evidence Library provides both a comprehensive, authoritative treatise analyzing the intricacies of Ohio evidence law and a handy, portable evidence reference manual for use in court. Supported by footnote authority, it analyzes evidentiary issues in conjunction with current case law. Revised annually, it is cited as the law of evidence by more Ohio courts than any other Ohio evidence treatise. 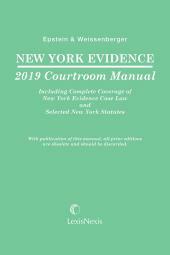 Designed for courtroom use, the manual provides practitioners with on-point answers and practical guidance to the many questions arising under the Rules of Evidence. Includes illustrations of witness examination, special constitutional considerations sections, and new developments sections. 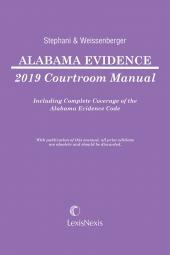 This complimentary subscription includes evidence cases from the Ohio Supreme Court, Ohio Court of Appeals, Ohio County Courts, Ohio Municipal Courts, U.S. 6th Circuit Court of Appeals and U.S. District Courts in the 6th Circuit. Stay on top of the latest developments in Ohio evidence law through these timely summaries, conveniently delivered to your desktop via e-mail. Subscribers will receive a letter with the URL to register for their complimentary Ohio Evidence eAdvance Sheets subscription. Learn more about the Electronic Advance Sheet Service on lexisONE. Chapter 401. Definition of "Relevant Evidence"